We have been all about Easter activities! The babies are obsessed with Easter eggs. They roll them, open and close them, put them in cartons, and dump them all over the floor and shuffle their little feet through them. We also made our rainbow rice into an Easter sensory bin! I added bunnies, carrots, eggs, and flower cups. Baby A felt she should also add a stuffed narwal. I love seeing how they add or change the activities I set up for them! 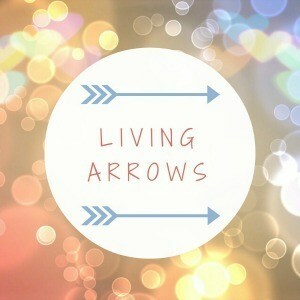 You can check out the Living Arrows project linkup over on What the Redhead Said by clicking the image below!